Solar Underground Lights can be placed flat to the garden ground and corners to light up your garden ground and dark corner. 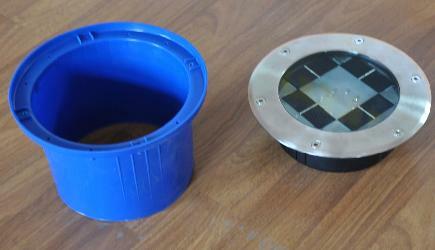 These Solar Underground Lights are water proof protected by Die-casting Aluminum frame and tempered glass. They equip with solar cells, LEDs and rechargeable Nikcad batteries. These batteries when fully charged can light up the LEDs for 20 hours. When under enough sun light the battery can last for three to five years. 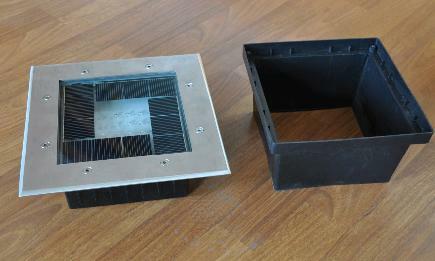 All the lamps come with hard plastic box to facilite being place flat into the garden ground. Due to its small sizes and can sitted flat to the ground; they are very practical for small garden or corner. They are also useful for lighting up the big field. They can be placed together with the tiles. These lamps can be placed on the table which is under the sun light in the day time. At night when a crytal or light shade is placed on top of the lamp, the crytal or the light shade will being brighted up. They will act as the table lamp for the night. Please do remember they need sun light to shin on them at day time. 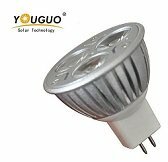 Type : 12pcs super high-brightness LEDs. Power: Power 2w(12pcs LED) Taiwan Epistar Chip. Unit LED luminous flux: >6 lm. Light decay will < 10% after 30,000 hours lighted. Intelligent: With overcharge and overdischarge protection. Temperature compensation, with external temperature sensor. Located together with the battery inside the plastic preembedded pieces. Facilate to dismant, favorable for the maintenance and the replacement of the battery. Life Span: 500 times cycles. Type : 8pcs super high-brightness LEDs. 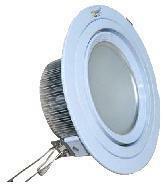 Power: Power 1w(8pcs LED) Taiwan Epistar Chip. It is used as a road divider or road limiter. With Led self-illuminating provide a significant increase in the effective warning distance for drivers. Unlike conventional reflective markers, Miracle Markers are visible up to a mile away, therefore helping to prevent accidents. They emit rather than reflect light, which is useful particularly on road sections where are unable to pick up the headlight beam. 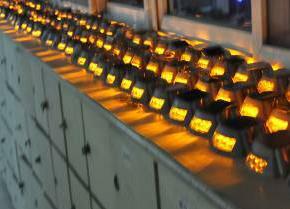 Effective amber light-diodes draw, but not distract from the drivers' attention. Provide great visibility for drivers at night and during bad weather conditions. Prevent fatal accidents and serious injuries caused by hidden and hard-to-see center lines. Maximize the driver's ability to operate and maneuver through dark spots, or dangerous sharp-curved areas on the road. Cost effective, easy to install and virtually no maintenance. Use of natural solar energy is good for environmental conservation. Solar LED Road Stud, also known as solar raised pavement marker, or solar reflective lane markers, have several applications. The constant flashes and integrated reflectors guarantee a persons' or a drivers' safe guide in streets at night and bad weather. YG-DD02 and YG-DD03 -- SGD20.00. The two are the same but YG-DD02 comes with RED reflector and YG-003 comes with YELLOW reflector. Any comment for this product?